We are bound to see architecture in our day to day life but may not take notice many of them. However, it is the unusual structures which somehow capture our attention and stay in our memories for a long time. Below are six examples of unusual structures from around the globe. 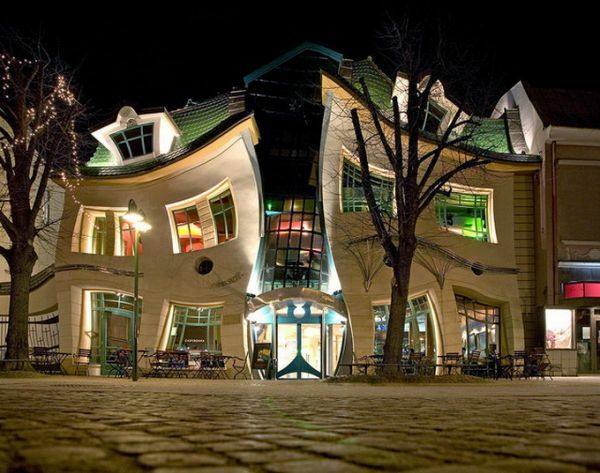 One unique structure found in Poland is the Crooked House. This piece of stunning architecture is located in a residential shopping center in downtown Sopot. Considered as an architectural marvel, the structure evolved because of a rich chain of imagination arising from a children’s book designer, J.M. Szancer and Swedish painter, Per Dahlberg. What is most amazing about this architecture is that it consists of a few straight lines in the center of the building. 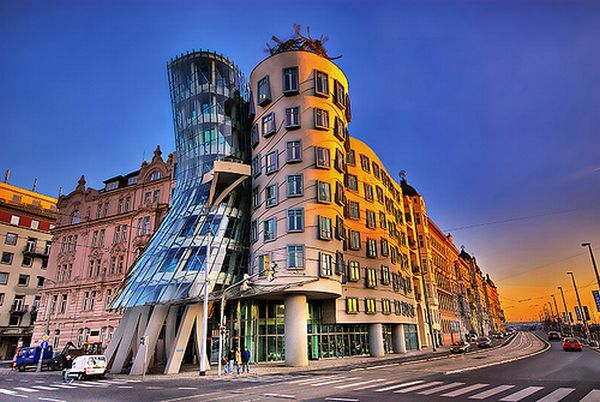 The second structure is the Dancing Building found in Prague, Czech Republic. This structure is symbolic of the Neo Renaissance time and a building which gained popularity in the 19th century. The Dancing Building is a famous tourist attraction and goes unmissed by anyone. The third structure is the Hundertwasser Building in Germany. This unusual structure is also known as the Forest Spiral and is the brainchild of Austrian architect F. Hundertwasser. This unusual structure begins the rise on the southwestern corner of the site it is placed on and graduates into a climbing meadow up to nine stories high. 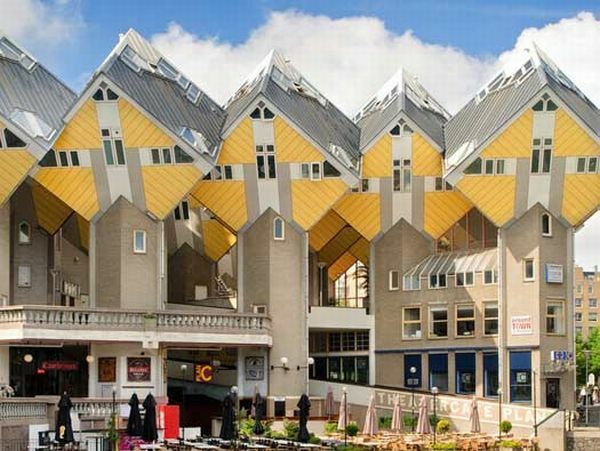 The fourth building is the Cubic House in Rotterdam,Netherlands. This structure is a magnificent and curious architectural marvel. The brainchild of architect Piet Blom back in the 1970s, the structure was conceived as a result of devising a solution to the problem of constructing houses on the top of a pedestrian bridge. The cubes in the marvelous structure sit at an angle on a hexagonal pole. The fifth building is the Calakmul Building in Mexico. This structure is said to have derived its name from one of the largest and most powerful Mayan ancient cities that can be found in the lowlands. This building looks like a giant sized washing machine and was designed by an architectGustin Hernandez, who believes in emotional architecture. The Calakmul Building or La Lavadorais known for its stunning reflection of a brilliant mirrored effect! Finally, the sixth marvel is the Kansas City Public Library in the US. This library is known for its original and highly innovative features. The library has a creative architectural design throughout especially in its central branch parking garage. The structure of the library is such that it looks like a bookshelf. 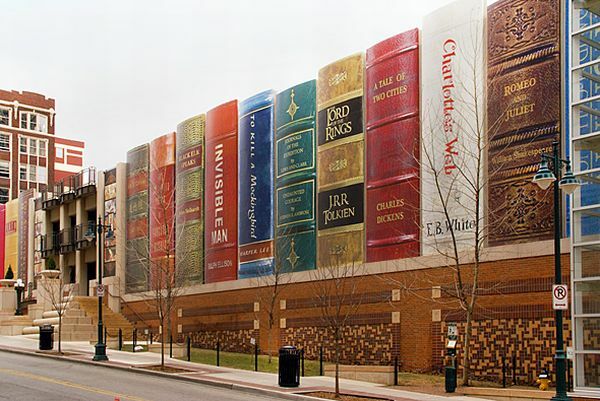 The spines of books form the façade and this unique design has in fact been effective in attracting more people to the library. The shelf of the library features 22 titles which reflect a wide range of reading materials which have been recommended by Kansas City readers.